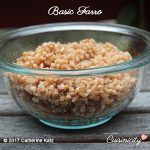 Farro (also known as spelt) is an ancient Mediterranean type of wheat that I love to use a lot in my salads, risottos, and my vegan burgers because of its rich earthy nutty flavor and perfect chewiness. I also love it simply as a side dish! It is high in fiber (higher than quinoa), high in protein (same as quinoa) and rich in essential vitamins and minerals. 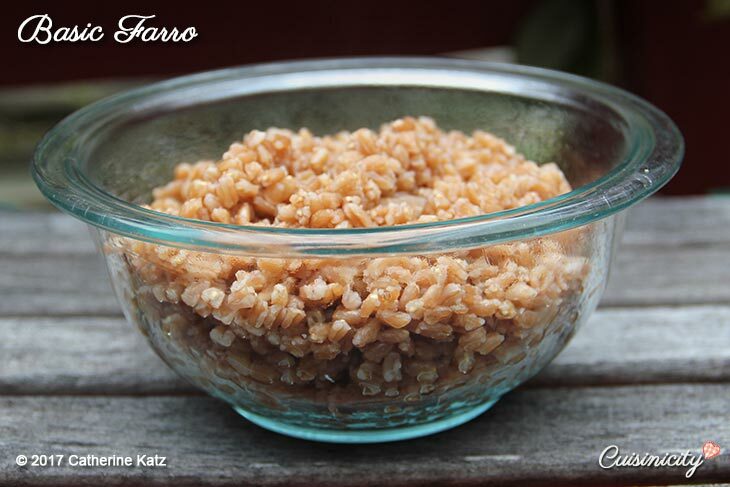 I like to use Bob’s Red Mills organic Farro (click here to see package and nutrition facts). Add the farro and cook, uncovered, for 12 minutes (most of the water will have evaporated). Turn off the stove and place a cover on top of saucepan, until ready to serve.